When Caroline wakes up in a Paris hospital with no memory of her past, she’s confused to learn that for years she’s lived a sad, reclusive life in a sprawling apartment on the rue Cler. Slowly regaining vague memories of a man and young child, she vows to piece her life back together—though she can’t help but feel she may be in danger. A budding friendship with the chef of a charming nearby restaurant takes her mind off her foggy past, as does a startling mystery from decades prior. In Nazi-occupied Paris, a young widow named Céline is trying to build a new life for her daughter, working in her father’s flower shop, and hoping to find love again. Then a ruthless German officer discovers her Jewish ancestry, and Céline is forced to play a dangerous game to secure the safety of her loved ones. But when her worst fears come true, she must fight back in order to save the person she loves most: her daughter. When Caroline discovers Céline’s letters tucked away in a closet, she realizes that her apartment harbors dark secrets—and that she may have more in common with Céline than she could have ever imagined. 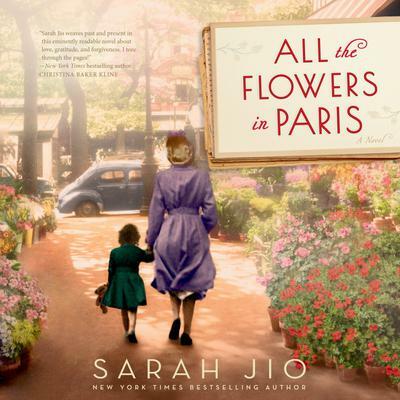 Told from both women’s perspectives, All the Flowers in Paris is an emotionally captivating novel rooted in the resiliency and strength of the human spirit, the steadfastness of a mother’s love, and the many complex layers of the heart—especially its capacity to forgive.